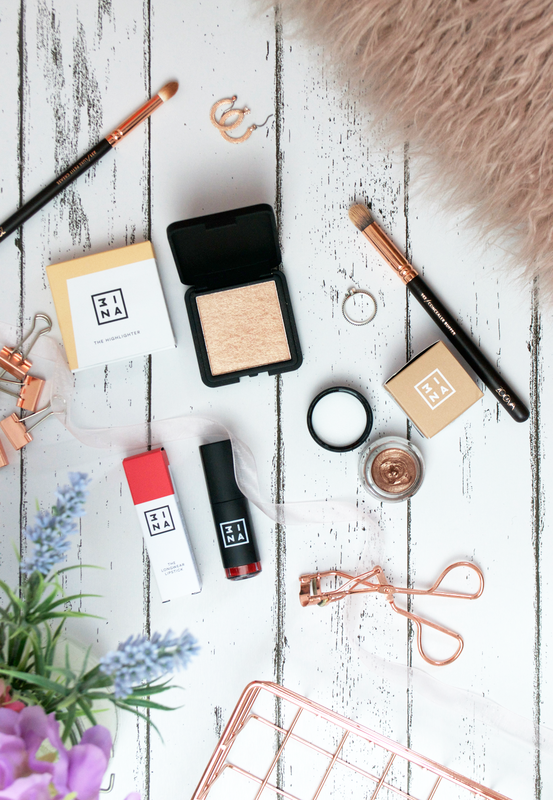 Last week I was kindly sent a few goodies from the new makeup brand on the block – 3INA. 3INA hit the scenes just over a year ago now and look to shake up the ‘one size fits all’ approach to the cosmetics industry. They sent me their top 3 best sellers to give a try – Highlighter 201, Cream Eyeshadow 312 and Longwear Lipstick 500. On first impressions the products seem great. First up is the Longwear Lipstick in shade 500 – a dark red. The formula is on the runnier side, and glides onto the lips easily before drying and leaving a stain. The colour is gorgeous – perfect for A/W but probably does need a liner, just because of how dark it is. I didn’t find it uncomfortable or drying on the lips and can’t comment on the lasting power just yet as I haven’t had the chance to wear it out! The Cream Eyeshadow is probably my favourite of the 3 products. I used to love Maybelline’s cream eyeshadows so this was a little throwback for sure – I haven’t used a cream product on my eyes in a long time! The formula for this was definitely a lot softer than I was expecting. A lot goes a long way and it’s such an easy product to quickly glide onto the eyelid. The colour is a gorgeous shimmery brown/gold, perfect for day or evening wear. Finally is the Highlighter. 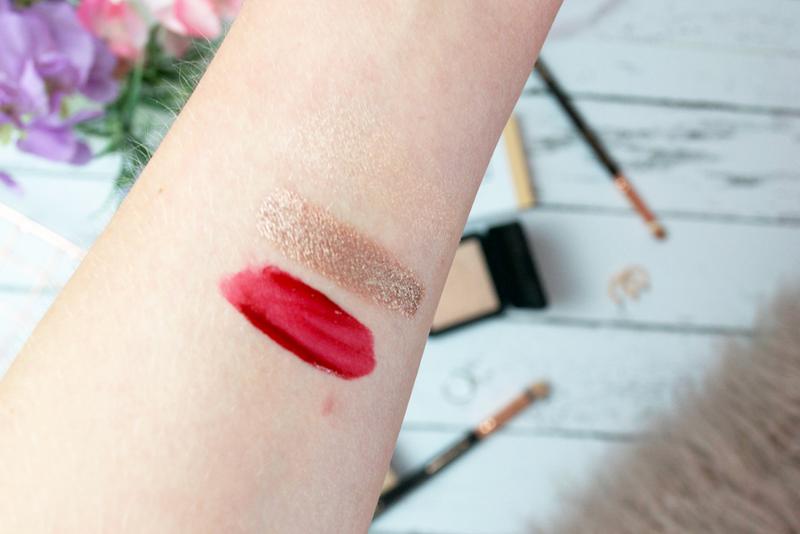 This is probably the piece I was most disappointed in – the highlight is a gorgeous gold colour but as you can probably see from the swatches – it doesn’t have great payoff. That being said it is still so pretty and perhaps is more suited to those who like the subtle highlight! I think I’ll be testing it with some different brushes to see if it gives a better result. All in all, I’m loving the looks of this new brand, and I’m excited to see what other products they release!